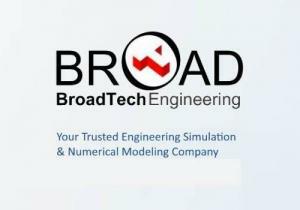 BroadTech Engineering is a Leading Engineering Simulation & Numerical Modelling Consulting Firm in Singapore. We Provide a Simulation-Driven Engineering Product Development & Design Validation Method that is Cost Effective & Carried Out to the Highest Standard. Our Strength is in FEA, CFD, SPDM and CAD/CAE to Help Our Clients Gain Valuable Insights to Optimize and Improve Product Performance, Reliability, and Efficiency.